A treatment plant is a small-scale domestic sewage system common in areas with no connection to mains sewerage. 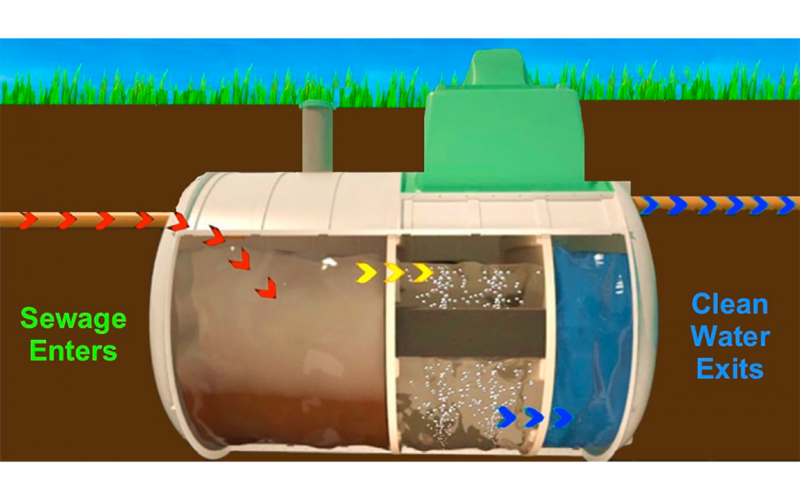 A treatment plant works in a similar way to a septic tank, only with an added chamber where a pump aerates the waste improving and speeding up the breakdown process so that when the waste leaves the chamber it is a cleaner waste than that of a septic tank. This is why treatment plants are often legally required by the environment agency if a property is next to a water source as these tanks can discharge direct into a water course legally. Treatment plant maintenance is often compared to vehicle maintenance because only a little effort on a regular basis can save a lot of money and significantly prolong the life of your system. Yearly emptying and inspections of your treatment plant ensures that it is working properly and is kept in a good condition. This saves you from the inconvenience and high costs of blocked pipes, backing up tanks and failed soakaways. The pump and parts need servicing and sometimes replacing if a part fails.